Get a streak-free shine without harsh chemicals. 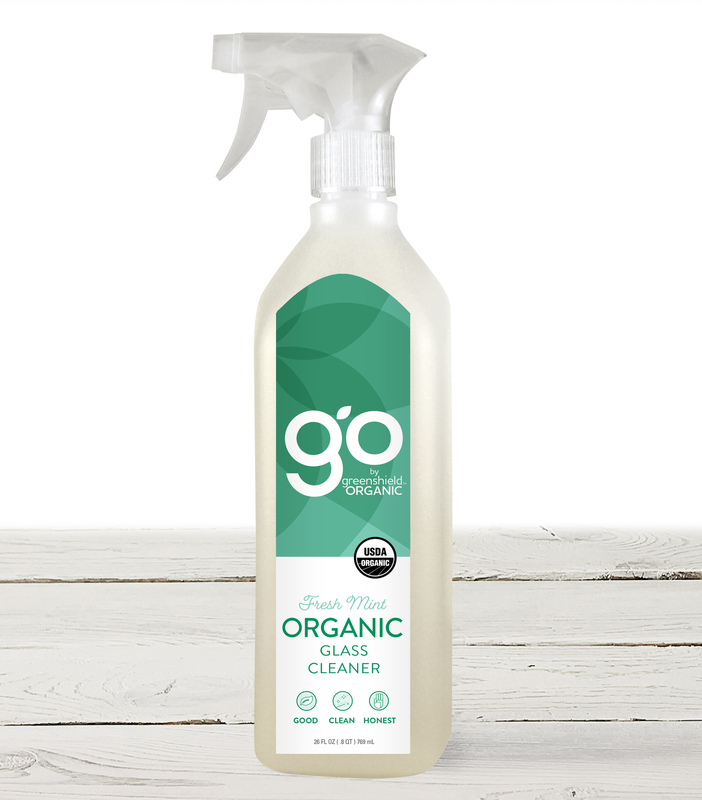 Our USDA Certified Organic Glass Cleaner uses non-ammonia, safer ingredients perfect for your glass and window cleaning needs. 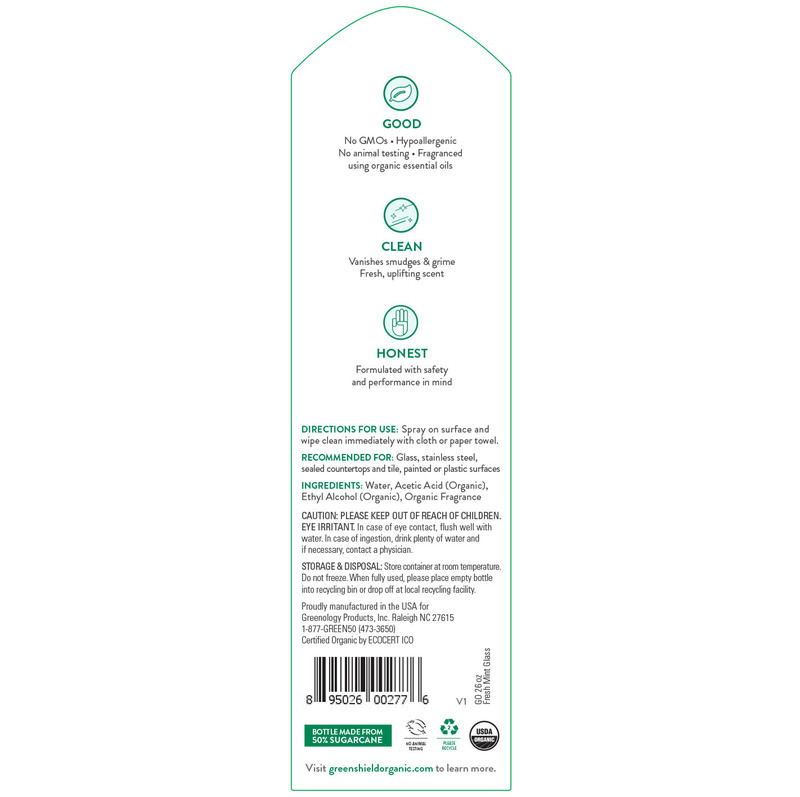 Enjoy the invigorating scent of fresh mint, made with organic essential oils. Spray on surface and wipe clean immediately with cloth or paper towel. Recommended for: Glass, stainless steel, sealed countertops and tile, painted or plastic surfaces.